Similar results can apply to customer-centric content. 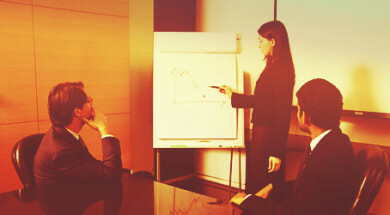 These three tactics will help yield information from your customers. You’ll understand their needs, challenges, and what they want to learn about. Then you can take that insight and turn it into conversion-driven content. Let’s dig in. Users visiting your website, app, or online store are a gold mine of insight. What better place to look for content ideas than your own users? To gather this insight, Google Analytics is usually the first and obvious place to look — find out what content on your site your audience is already engaging with. In this example, three pieces of content rank in the top 10 page views. They have a decent time on site — except for the e-book, which is a landing page. But Google Analytics only shows us the surface data and it’s difficult to curate this data into one place. One tool that solves this problem is Woopra, a customer-intelligence platform that builds a profile for every website visitor, app user, and customer. It pulls data in from several sources (live chat, email, etc.) to fill in the gaps. Where Google Analytics gives us quantitative insight, Woopra attributes it to individual users. Woopra allows you to create dynamic customer segments based on behavior. You have more power to not only find the right content but attribute it to the right audience. Use these segments to laser focus your content. By doing so, your content will resonate with the right audience. 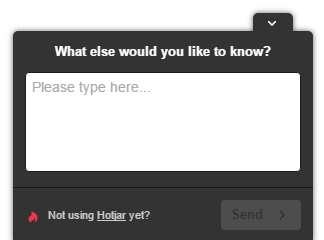 Hotjar is another tool to consider. Typically used as a conversion optimization tool, it’s also useful for generating insight that can be used in your content marketing strategy. Its survey tools enable you to ask readers what they’d like to see more of. Does your current content tick all the boxes? Is there something missing that they’d like to know? Asking questions while they’re consuming your content generates more accurate information from them. Their needs are top of mind, and if you ask the right questions they’ll share them with you. We’ve covered what to do when users and customers come to you, but that will only get you so far. Nothing quite beats talking to your customers to understand their needs. The biggest benefit of doing this? It allows you to question assumptions. This is where customer development, a concept formalized by Steve Blank, comes into play. Customer development is the process of understanding your customer’s needs. It’s about knowing what they want from your product or service. Customer development will help you – force you – to make better decisions based on tested hypotheses, rather than untested assumptions. The results of the customer development process may indicate that the assumptions about your product, your customers, and your market are all wrong. In fact, they probably will. And then it is your responsibility, as the idea-generator (read: entrepreneur), to interpret the data you have elicited and modify your next set of assumptions to iterate upon. In product design, customer development challenges assumptions. It tests new ideas with those who will have your product in their hands. Customer development can be a tool to create not only the best content possible but also the right content. “We’ve always had (tested) assumptions about the personas of our customers. And many of them held true in these conversations. But as we’ve grown, things sure have changed. 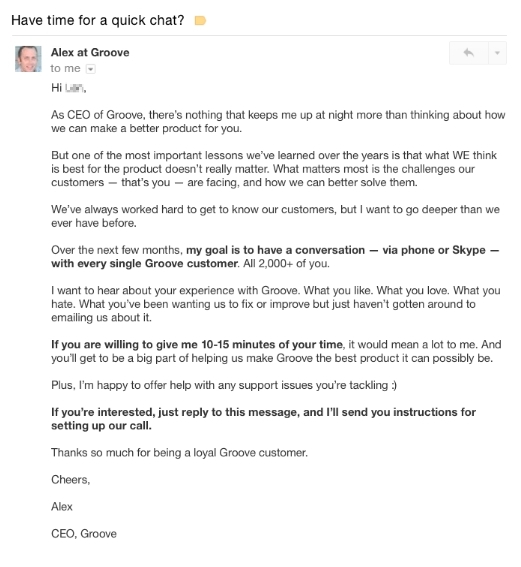 On top of this, Groove improved its marketing copy based on what its customers were saying. The benefits go beyond content marketing, but how do you execute customer development? Start with a simple email. Reach out to your customers personally, not from a company-wide email address. Be sincere, telling them you understand the challenges they’re facing. It worked because he put the users at the heart of what he’s asking for. He shares that he values what his customers think over his own assumptions. There’s also a call to action that sets the expectation up front. The responses to his email quickly filled his inbox. Over the course of four weeks he talked to 500 customers. Now that you’ve got them on the phone, what should you ask? You need to elicit the right information to guide your content efforts. This means not only understanding their challenges, but also how they apply to their business, work, and personal lives. The question is broad for a reason. The idea is to let them talk as you note down keywords. Then, you can thread these keywords into more specific questions. Not only are you generating ideas for content, you’re adding context to it. They want to learn more about a topic for specific reasons. This gives you fuel for compelling introductions and killer headlines. The key to successful customer development is not only understanding what your customers need but understanding why they need it. This shines a light on the best possible topics to focus on. It also helps build evergreen content that captures your audience’s attention long term. Customer development is invaluable but difficult to scale. Sometimes, we need to react to what the market is saying. This requires tapping in and listening to what is already being talked about. Fortunately, various tools can help you do this. The first being Mention. Given that conversations are happening all over the web, people are not just talking about your business but also the topics that your content will serve. Mention monitors these conversations across social platforms, communities, and billions of other channels. Whether they be on Reddit, Quora, Facebook, Twitter, TechCrunch or Forbes, Mention keeps an eye on it all. Enter your target keyword under “Optional Keywords,” then hit next. Select any priority sources followed by channels and language. You then have a feed of tweets, articles, and other forms of content that contain your keyword. To avoid being overwhelmed, track several long-tail keywords because the narrower you are, the fewer alerts you will receive. This will make crunching any trends easier. 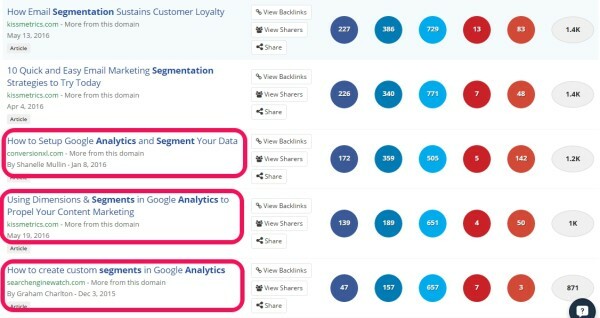 You can use BuzzSumo to research which content is resonating well with your audience. Use broader search terms to find popular content around a topic. 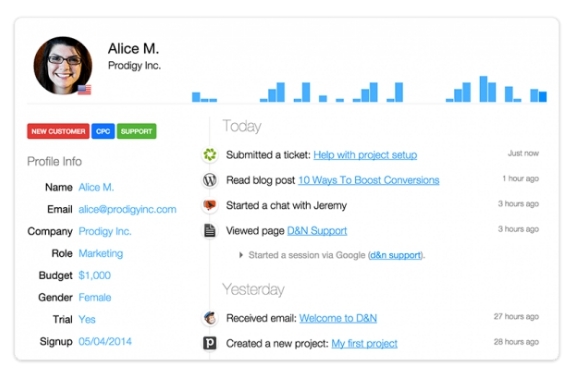 While tools like Mention and BuzzSumo are great for mass-market analysis, you should still talk to your customers. Speaking with individual customers is the fastest way to understand their challenges. The data, insight, and understanding your customers offer are priceless. By listening to them and analyzing their behavior, you can better serve them with the content you create. The more insight and data you collect, the greater vision you have on the competitive content landscape. How often do you talk to your customers? Have you had any aha moments from your own customer development efforts? Want to add more plays to your content marketing mix? Download CMI’s 2016 Content Marketing Playbook.